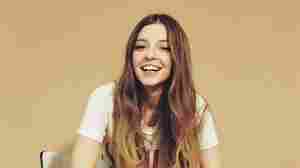 January 27, 2018  This month's playlist includes a new single from indie giants MGMT, Moby's modern take on a classic spiritual, and the latest earworm by U.K. singer-songwriter Jade Bird. December 4, 2015  Despite other gigs, Chris and Oliver Wood say playing together is always their first choice. April 30, 2006  Chris Wood of Modeski, Martin and Wood and his brother, Oliver Wood, take listeners on a rootsy journey through American music on acoustic bass and guitar. March 7, 2006  Give it up for this as a peak experience: a stolen moment with some ice cream. It might just come down to that, and that's probably an idea worth savoring. The Wood Brothers, anchored by Medeski, Martin & Wood bassist Chris Wood, combine simplicity with metaphysics. 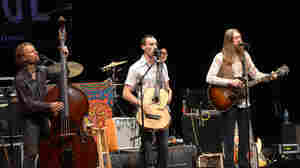 February 17, 2006  The Wood Brothers perform the latest in a series of midday concerts from NPR Music and WXPN. The roots-rock duo's show has ended. But their full performance from the stage of World Cafe Live in Philadelphia, Pa., is available in archive form. June 17, 2008  The Wood Brothers' latest CD, Loaded, enlists some major friends: Amos Lee, Pieta Brown, and John Medeski, among others. 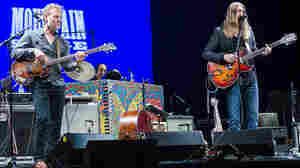 In a session on WXPN, The Wood Brothers' members play their own distinct style of jazz, blues, and rock. March 22, 2006  Just about every successful rock band seems to have a side project these days. 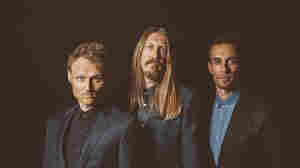 This month, an unlikely spinoff of the jam trio Medeski, Martin and Wood arrives -- a family affair known as the Wood Brothers. The duo's first CD is called Ways Not To Lose.